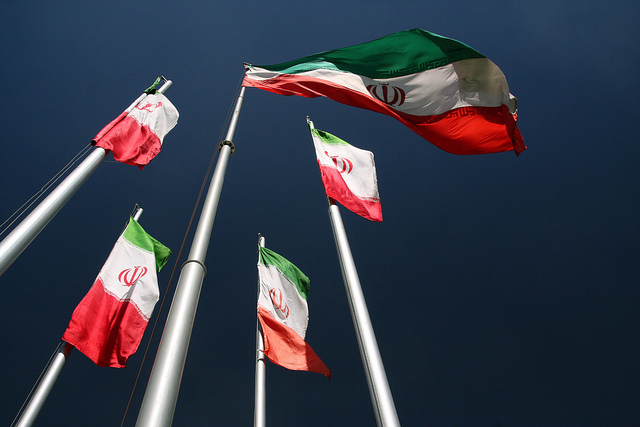 Last week, Iran’s Internet usage saw several interruptions. On the eve of the anniversary of Iran’s 1979 revolution, Google and all SSL sites were blocked in Iran. A couple of days later, Google confirmed that Gmail and YouTube had, in fact, been blocked in the country. Restored after a four day outage, today, Reuters reports that Iranian Internet has seen further disruptions ahead of the scheduled elections. On Twitter, users, including software developer Mahdi Taghizadeh, confirmed that access to VPN, HTTPS, SSH and any encrypted data has been blocked, and are only able to access sites like Twitter and Gmail using an RDP connection. In a brief, access to VPN, HTTPS, SSH and transferring all encrypted data packets is blocked in #Iran. Golnaz Esfandiari, a journalist with Radio Free Europe/Radio Liberty also commented on Twitter that their Iranian listeners confirmed that VPNs had been blocked. Access to Gmail, Yahoo blocked in #Iran again, usual anti-filtering tools incl. VPN’s not working users say. Last week, Ars Technica reported that the Tor Network, an extensive system used to anonymize Internet usage, was doing its part to give Iranians secure access to get online. The next day saw a surge in Iranian Internet traffic, with numbers restored to an almost normal rate. Hotspot Shield is another tool which many Iranians use in their attempt to bypass the Internet blockade. 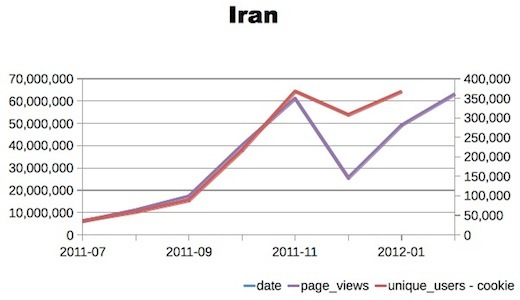 Pageviews using Hotspot Shield in Iran increased 8 fold from just over 6 million in July 2011 to just over 49 million this January. Hotspot Shield is also able to give a little bit of insight into what sites are most popular among Iranian Internet users, with Facebook generating the most interest by far, accounting for 62% of all pageviews. Google comes in a distant second at 16%, followed by YouTube, Yahoo and the online game Travian. The BBC website barely made it into the top 10 sites with 1% of the pageviews, followed by search engine Teoma, while the rest of the sites in the list are Iranian. Clamping down on Internet usage in Iran is certainly nothing new. Sites are routinely blocked, with the list including the US Virtual Embassy and even The Next Web, according to the site Blocked in Iran. In the meantime, Iranian authorities have been hard at work, creating an Internet of its own, so to speak. We have contacted both Hotspot Shield and Tor Network to find out if Internet access through their services has been affected by the latest crackdown, and will update once we’ve received a reply.